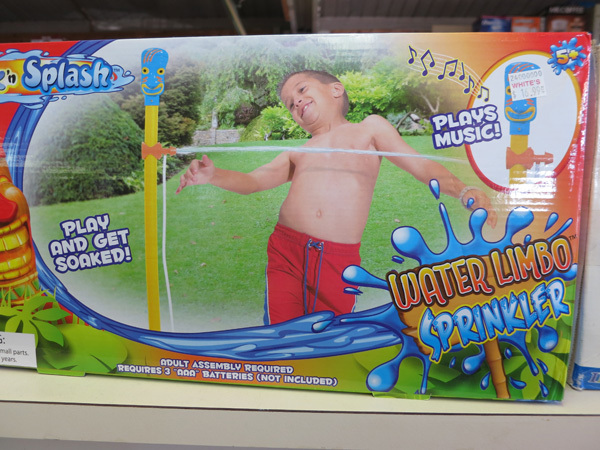 They made a Water Limbo Sprinkler. It's a about time. Is it just me or is the kid on the box poised on the brink of becoming a mega-celebrity? No one could have communicated water limbo like he has.